A recent Op-Ed piece in the New York Times by Molly Worthen talks about her view that long-form lectures are of real value to students, at least in the humanities. I agree (especially in the middle of the political “silly season”) that we have to make sure our students can listen to extended verbal presentations critically and well, and be able to summarize, critique, and question in real-time. Long-form lectures may also well work efficiently enough for simpler outcomes (where “simpler” is defined by the audience having enough relevant long-term memory components to easily process a spoken lecture in real time). However, looking through the lens of learning science, this is not the same as thinking long-form lectures are an efficient method of instruction for most hard, important, outcomes. Dr. Worthen is a humanities faculty member at UNC Chapel Hill making the case for why students should be expected to learn from long-form lectures. Being able to listen to longer, complex arguments, take notes about them, and think deeply about them, is an important career (and life) skill, she maintains. Only being able to absorb an argument if you can rewind it, or take verbatim notes (audio or text) is not sufficient. The goal of listening carefully is not to slavishly reproduce an argument, but to internalize it, understand it, match it with other things in your mind, have a view of it, and be able, then, to come to an independent conclusion and/or critique. Applying the lens of learning science to this, let’s separate the multiple outcomes from the methods to achieve those outcomes. These things are often confused (e.g., when folks think learning to solve problems in groups is the same as using groups to solve learning problems). One goal, as mentioned, is to become very good at absorbing, in one continuous flow, an argument or discussion as presented, and to be able to offer real-time questions and critiques. We should be able to do this with badly presented arguments (the norm – maybe even more important) as well as very well-structured arguments. What we want done is a kind of real-time version of the ability to analyze an essay: understanding the argument, the audience, the points made, figuring out where there are points of agreement or disagreement, possibly posing responses or questions in real-time, and, ultimately (hopefully) changing your mind based on the good points made. What this requires your mind to be able to do in real time is incredibly complex. 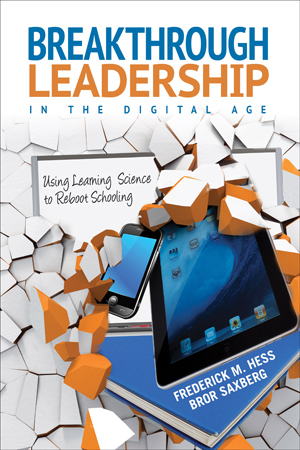 As we know (see E-Learning and the Science of Instruction, by Clark and Mayer, or the book Rick Hess and I wrote, Breakthrough Leadership in the Digital Age: Using Learning Science to Reboot Schooling), listening to information has to first come through our very flexible, but very narrow, working memory. Unfortunately, working memory is easily overloaded by new information: the effort to understand and connect new things is much slower than an expert’s ability to rattle on with a sequence of key points. One way to help manage the real-time working-memory overload is efficient and graphical note-taking: sketching out key elements and concepts and their connections to each other, outlining the argument in bullet points as they occur, putting in your own notes to catch what pops into your head as you are listening. During pauses, or at the end, the listener can review the notes, see what they’ve been able to record about what they’ve heard, formulate questions/critiques and continue the process of internalizing. Learning to process a lecture this well benefits from specific instruction, practice, and feedback. It’s probably best to start with lecture materials that are not the most challenging, or long, for that learner in the domain at first – there’s enough cognitive load from new note-taking skills to deal with. And then move on to more and more complex and extended content, to build fluency with note-taking and on-the-fly interpretation and reaction. However, domain expertise will still matter: domain novices have fewer chunky relevant concepts/frameworks to note down and connect to what they’re hearing. Novices will therefore be less efficient note-takers, and are more likely to miss deeper connections that are not made explicitly, or that simply fly by. Indeed, developing domain competency is another key goal we want to accomplish, very different than live-lecture-parsing skills. We know it is possible for some fraction of learners to develop some competencies through listening actively to lectures – many of us got through college this way! However, evidence suggests lecture-listening is not the optimal way for most learners to master important, hard competencies, even if some learners (those best prepared) can do it. Rather than starting from a “technology” for learning (lectures in this case), instructional design should start from what the actual outcome/competence is for a block of learning: what is it we want a learner to be able to decide and do differently at the end compared to when they came in? The type of outcome we’re after – a complex cognitive procedure, or mastery of subsidiary facts, concepts, processes, or principles – will determine the best kind of learning experience. Most evidence-based learning approaches rely on a learner’s mind being actively engaged in producing something, getting feedback, and trying again. The learner starts with some information (not as much as in a long-form lecture), gets a demonstration of how this is applied in an expert way, then produces and gets feedback, repeating until the decision or task is being done in a capable way. This kind of evidence-based instructional design would rarely yield a long-form lecture to optimize learning, except, perhaps, as above, for training to be able to critique and question a long-form verbal presentation, or using long-form lectures in the course of teaching convincing public speaking, or some other very specific circumstances. In the real world, that does not mean, “Never use a long-form lecture.” Lectures can serve to frame or motivate the real work to come, as long as they don’t dominate the instructional time. For things that are easy for students to master (meaning most students have sufficient components in long-term memory), a lecture may be sufficient. However, as soon as things get more difficult, more productive learning approaches than lectures will help more students. Becoming good at interpreting long-form lectures is an important skill-set, especially in a democracy, no question, and lectures are certainly economically efficient. However, given evidence on how learning works, lectures are not the best form for most instruction time, if the goal is to get more students to master real competencies.